After a little while, it became obvious that ,although still being supportive, our teacher had forgotten all our names. Instead of the usual embarrassment of " what was your name again?" He called us "our friend here" or " this artist"
It didn't go unnoticed by the group and mostly no one minded, sympathetic of his obvious constant stream of changing students. I was Bag Girl and another woman was Poet. 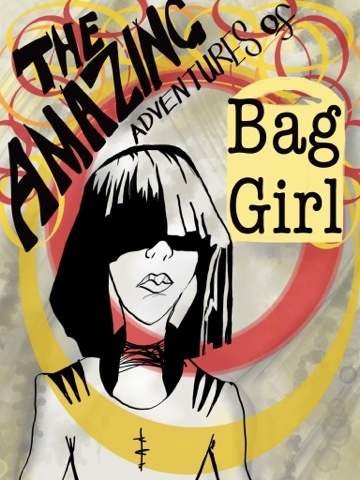 Obviously, I spent the next half an hour picturing the comic book series where Bag Girl and Poet would complete quests to rid the world of plastic bags whilst informing them about rhyming couplets.